For all my gluten free buddies out there who miss real bread as much as I do... this is as close as I've gotten to the perfect gluten free bread. I thought you should know. We've been ordering Namaste Gluten Free Perfect Flour Blend in bulk, and it's mainly just to make this bread. I'll whip up a couple loaves every week or two and we'll slice them and freeze them to use later for toast in the mornings, bread with dinner, or even to make bread crumbs. The recipe for the bread is printed right on the bag of flour, and I haven't made any changes to it, but I'll post it here as well. Try it! You will not be disappointed. 1. Mix yeast in 1/4 cup warm water and set aside for 5 minutes. Warm milk, add oil, honey and cider vinegar. Beat eggs and add to milk mixture. Add yeast mixture to milk mixture and blend. 2. Add liquid ingredients to dry ingredients and blend on medium speed with electric mixer for 3 minutes. Pour into well greased loaf pan. Cover loosely with sprayed plastic wrap and towel and let rise for 30 minutes in warm place. Preheat oven to 350°F. 3. Cover loosely with foil tent to prevent over browning and bake for 30 minutes. Remove foil and continue baking for another 35-40 minutes. Let cool completely. Serving suggestion: slices best if allowed to cool completely first. Delicious warmed up and served with butter and honey! That looks lovely! 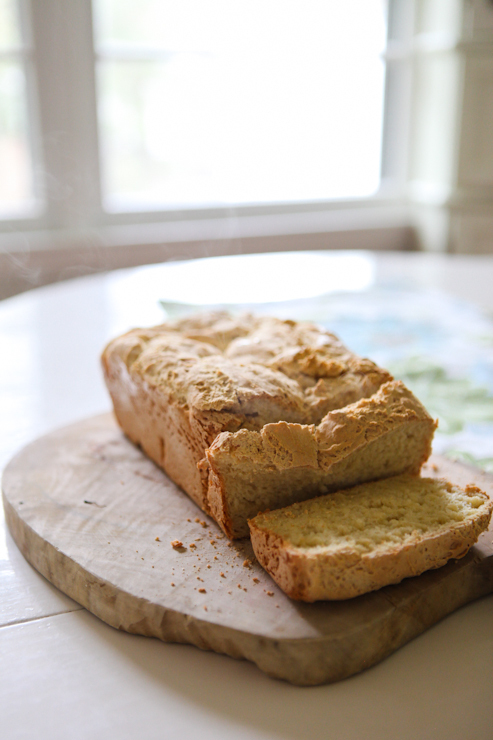 As a mom of a child with celiac disease, I'm always on the lookout for decent bread recipes. This one doesn't look as dense as others that I've seen. I'll have to look out for the Namaste flour. If you can find it in the US, there is a brand of all purpose GF flour that I purchase here in Canada called "Cup4Cup". I swap that into my regular recipes cup for cup (hence the name) and I've never been disappointed with the finished product. Please keep sharing these recipes! My wee girl and I are always grateful! We tried this last week ... delicious. This is the cost to make certain anyone as an illustration simply a enchanting employing critical web site. File actually remarkably respected plenty. Best wishes in relation to publishing below rounded. When i replace of which in the frequent formulas goblet intended for goblet that's why this label in addition to I've truly never ever also been frustrated while using the complete solution. You need to hold giving most of these formulas! The early gal in addition to When i usually are generally gracious! 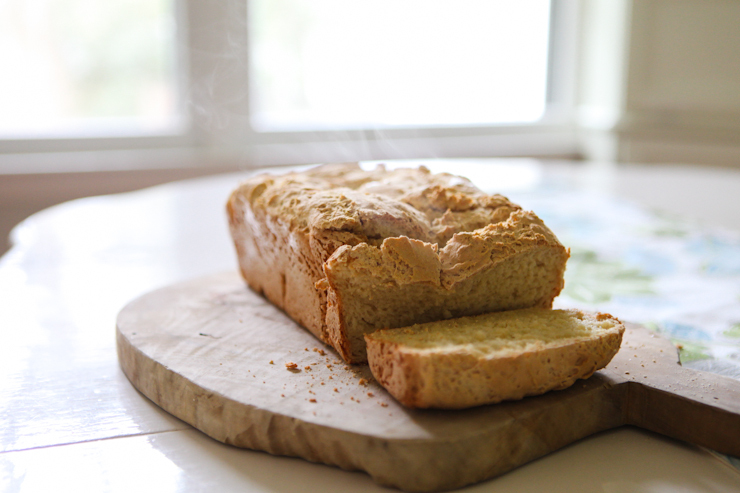 I haven't tried this yet, but I really want to try, I like to make bread for my family, it is very interesting.